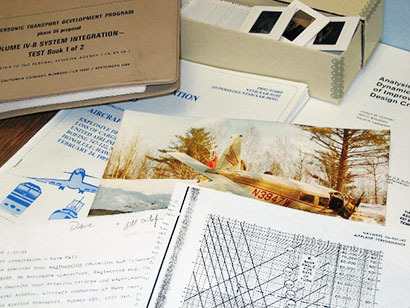 To donate materials that are in line with ASASA’s mission to preserve and make accessible aviation safety and security documents, send us an email at prasasa@erau.edu or call us at (928) 777-3949. Although we cannot offer monetary appraisal services, we may be able to direct you to professional appraisers, or you may be able to appraise your own collection for IRS purposes, if the value is below a specified amount. We also welcome monetary donations to support the cost of preserving, describing, and making available the rare and unique materials in the archives.